The flagship smartphone from Lenovo is the first to have Qualcomm's latest Snapdragon 855 SoC paired with up to 10GB of RAM. Back in December last year, Lenovo officially announced the Z5 Pro GT in China alongside launching the Lenovo Z5s. 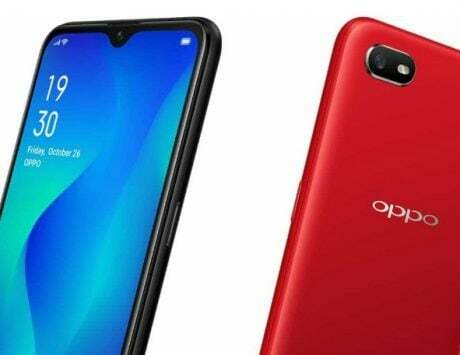 The smartphone is same as the Z5 Pro launched previously by the company in November, but brings with it an updated chipset, RAM and storage. Last month, Lenovo revealed the specifications, features, price and release date. 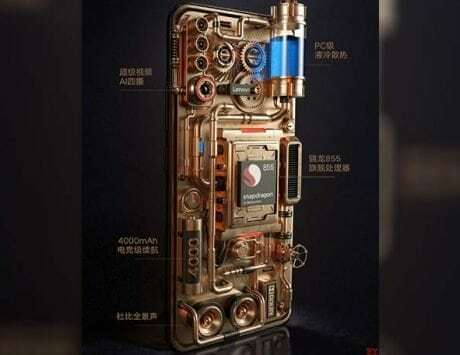 Now, the smartphone has appeared in an AnTuTu revealing the might of the new Snapdragon 855 mobile platform. 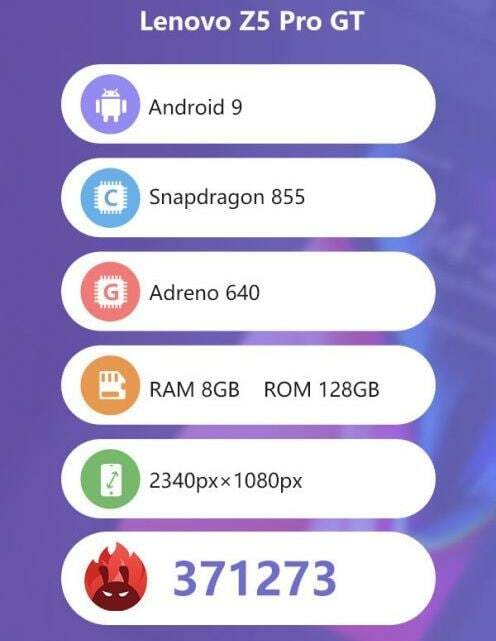 The Lenovo Z5 Pro GT (L78032) AnTuTu listing reveals that the handset features a display that supports Full HD+ resolution of 2340×1080 pixels. 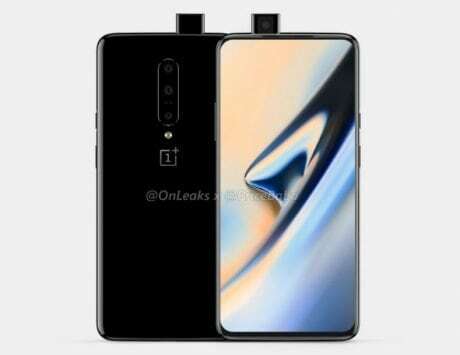 The device will be arriving with recently launched flagship Qualcomm Snapdragon 855 processor and Adreno 640 GPU. There is also 8GB of RAM and 128GB internal storage. The smartphone runs Android 9.0 Pie OS out-of-the-box, and most likely features ZUI 10 UI over the Android OS. It scored an average benchmarking score of 371,273 on the official AnTuTu Listing. 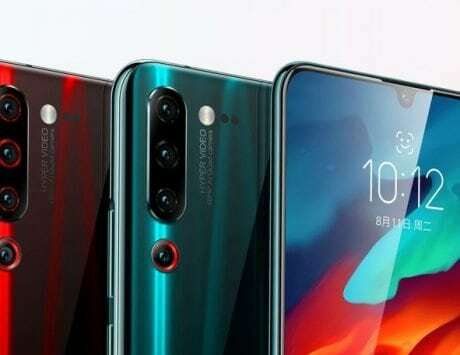 The Lenovo Z5 Pro GT features a 6.39-inch Full-HD+ display with a resolution of 1080×2340 pixels, and a 19.5:9 aspect ratio. 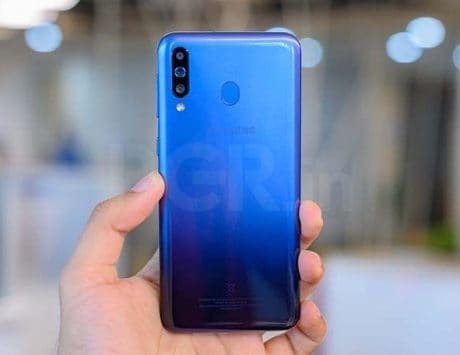 For imaging, Lenovo Z5 Pro GT has a dual-lens rear camera setup, comprised of 16-megapixel and 24-megapixel sensors. 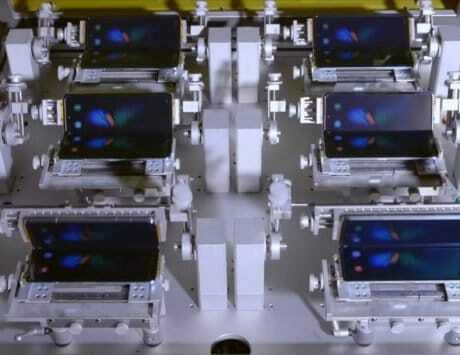 Housed in the mechanical slider, the front-facing camera system is also a dual-lens one and comes with a 16-megapixel module and an 8-megapixel module. The smartphone is backed by a 3,350mAh battery. The Lenovo Z5 Pro GT is priced at RMB 2,698 (around Rs 27,850) for the model with 6GB of RAM and 64GB storage. The variant with 6GB RAM and 128GB storage costs RMB 2,998 (around Rs 31,000), while the 8GB RAM variant with 128GB storage is priced at RMB 3,998 (around Rs 41,250). 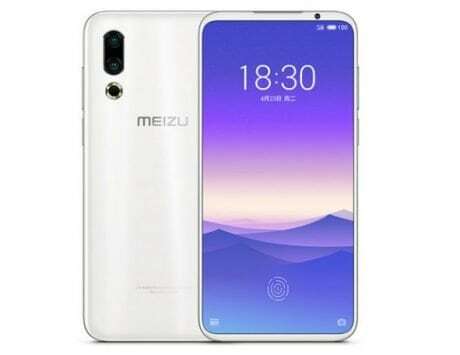 The top-end model with 12GB of RAM and 512GB storage has a retail price of RMB 4,398 (around Rs 45,400), and the smartphone will go on sale starting January 29 in China.